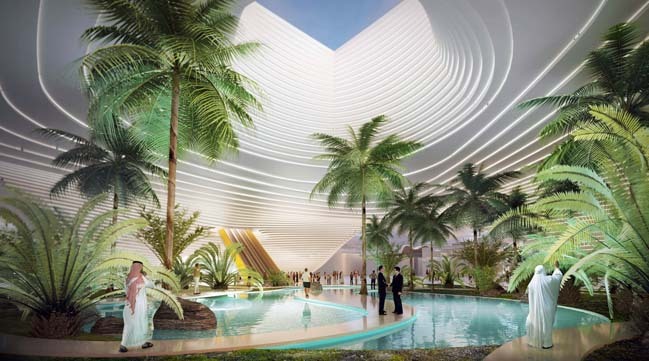 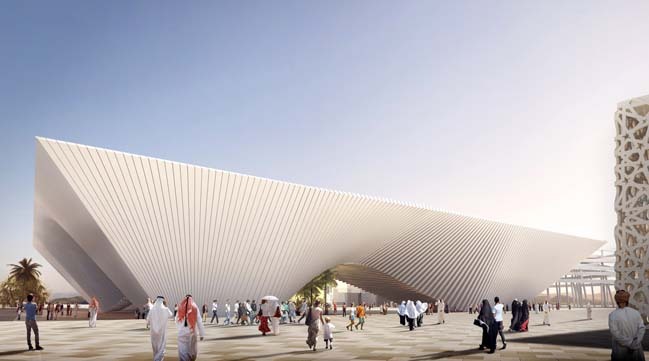 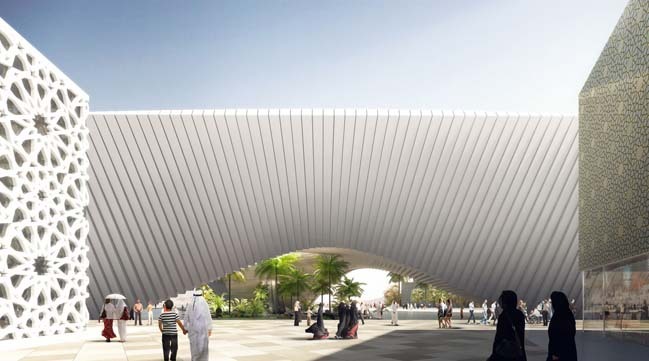 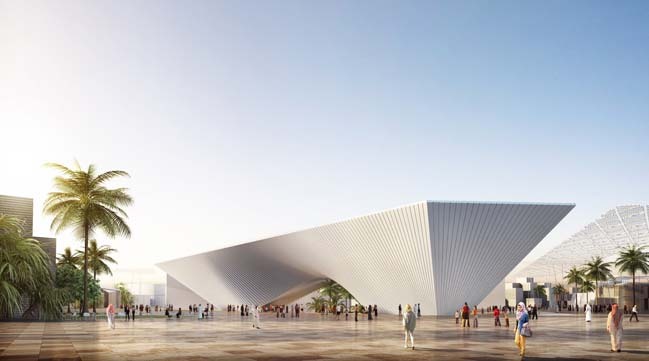 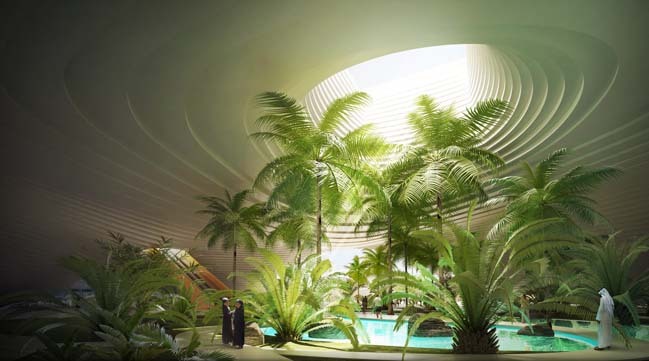 This is an architecture project was designed by BIG - Bjarke Ingels Group for the Opportunity Pavilion which is one of the primary anchors in the Expo 2020 Dubai. 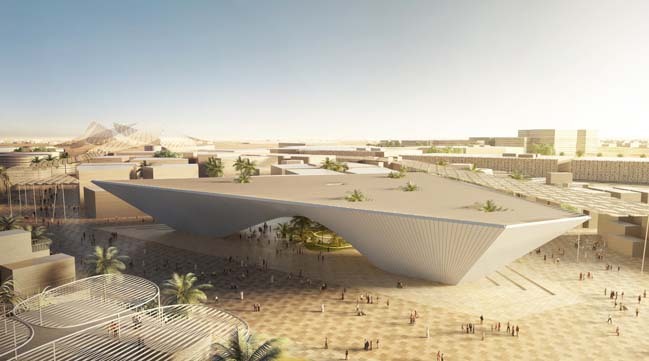 Follow the architects: Expo 2020 Dubai, themed Connecting Minds, Creating the Future, explores and confronts key global challenges, and seeks to provide practical and scalable solutions. 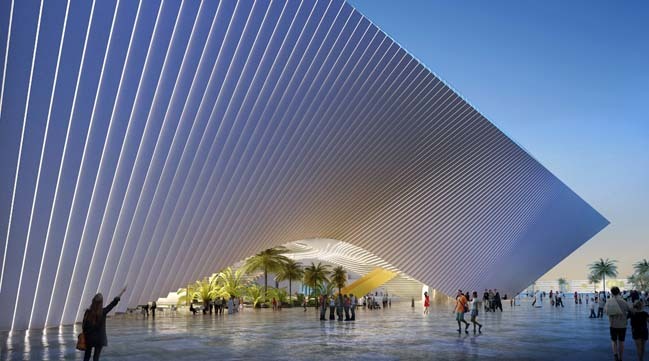 Three related subthemes, Opportunity, Mobility and Sustainability are identified as drivers of change that shape our world and create our future. 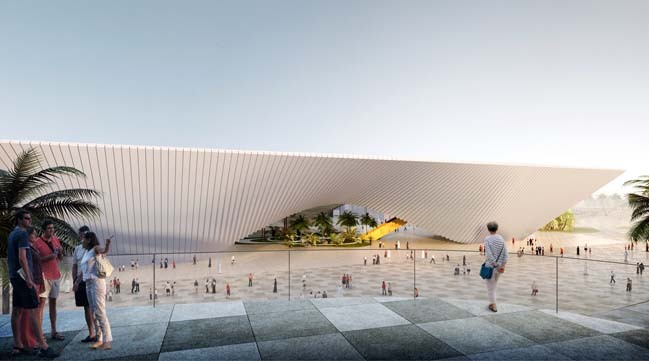 BIG proposes a structure that will use the region’s challenging ecological circumstances as a resource to organize and shape the Opportunity Pavilion. 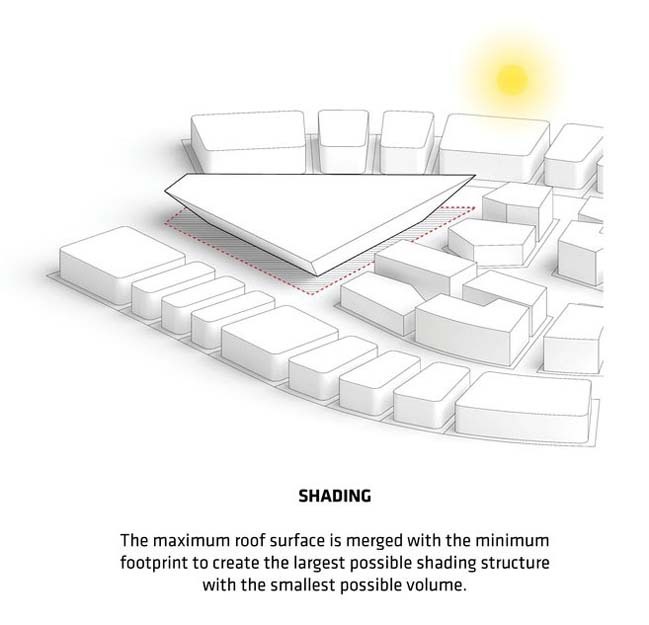 By merging the maximum roof surface and allowable building height with the minimum footprint at ground level, the Pavilion creates the largest possible shading structure with the smallest possible volume. 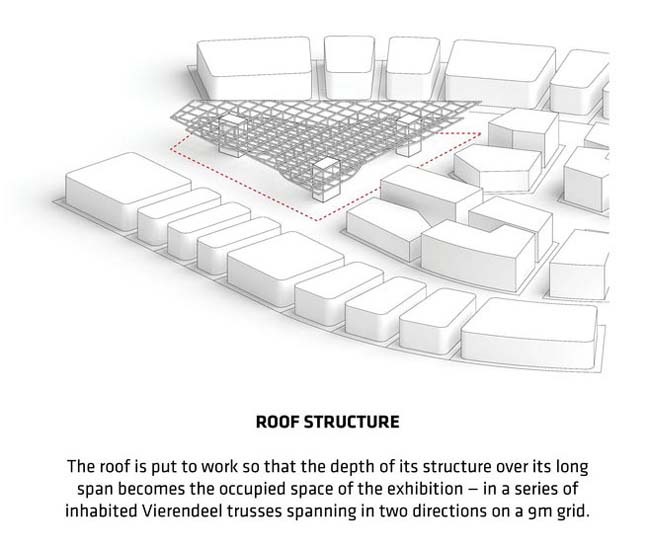 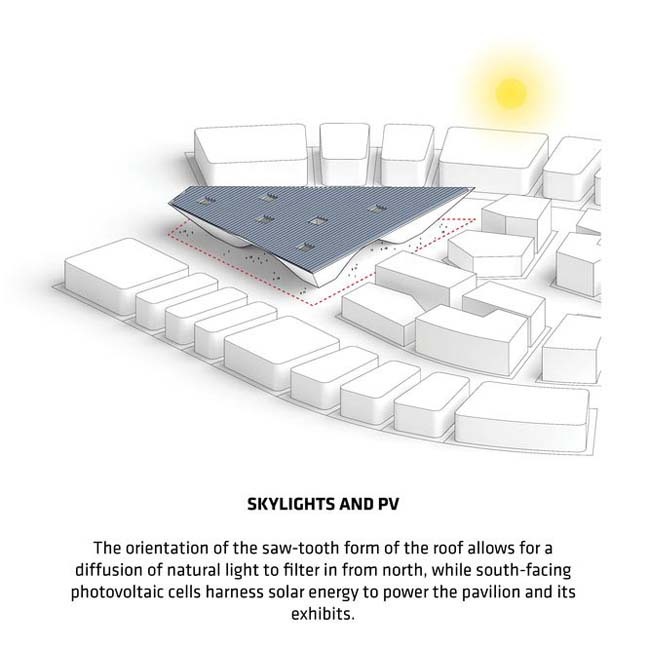 The saw-tooth form of the roof is oriented to allow for ample natural light to filter in from the north, while south-facing photovoltaic panels harness solar energy to power the Pavilion and its exhibits. 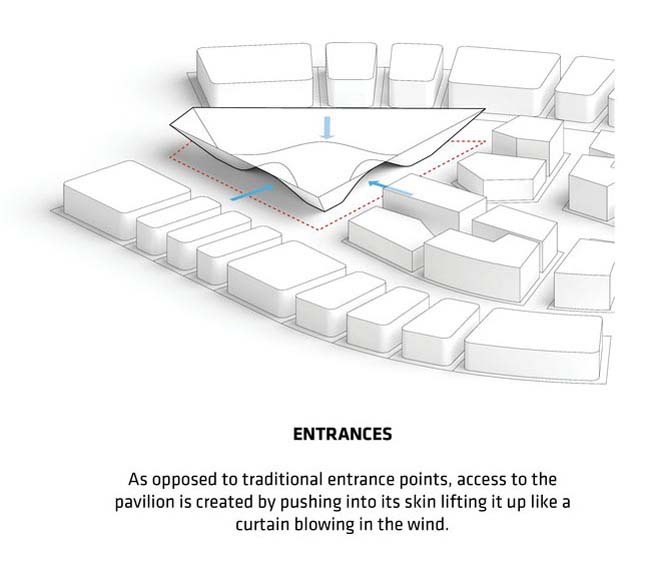 The facade of the building, composed of linear elements of the same length, is pushed in and lifted at ground level to resemble a billowing curtain. 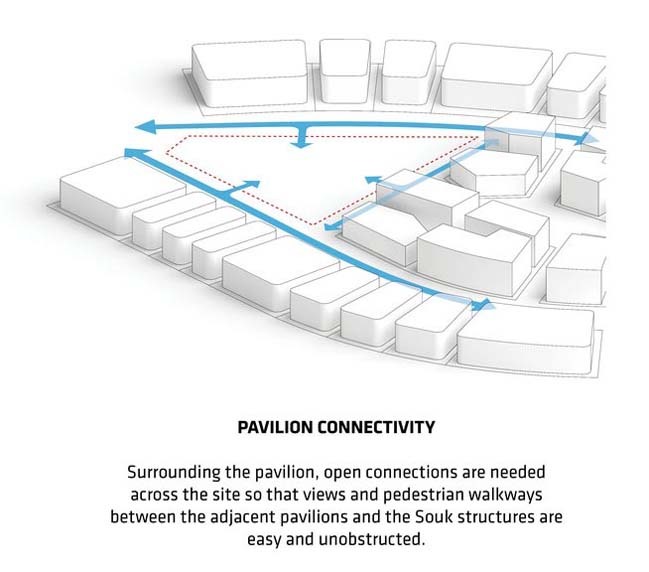 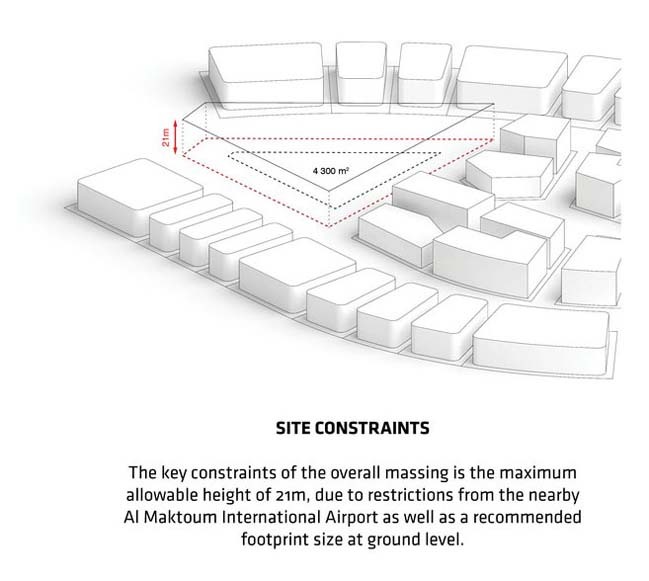 Rational and expressive at the same time, the opening provides access to the Pavilion while creating an unobstructed line-of-sight connecting the Opportunity Pavilion with adjacent structures and pavilions. 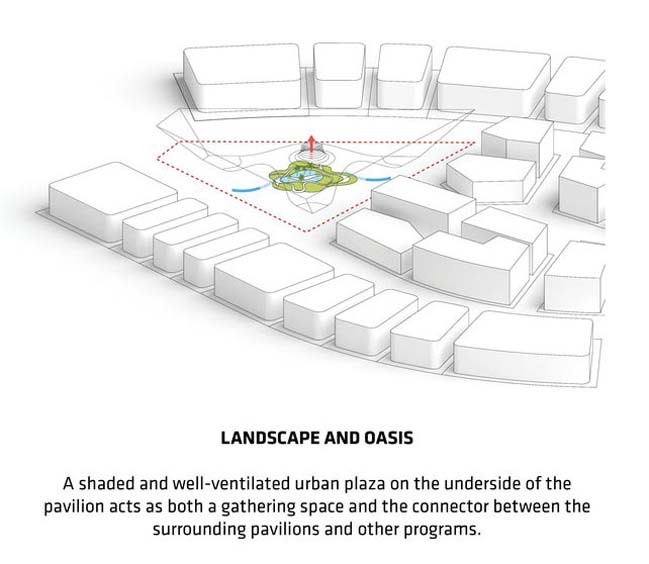 Visitors are led to a shaded and well-ventilated plaza for public gatherings on the underside of the Pavilion, and a green oasis in the middle of the plaza offers more intimate and private spaces for discussion and contemplation. 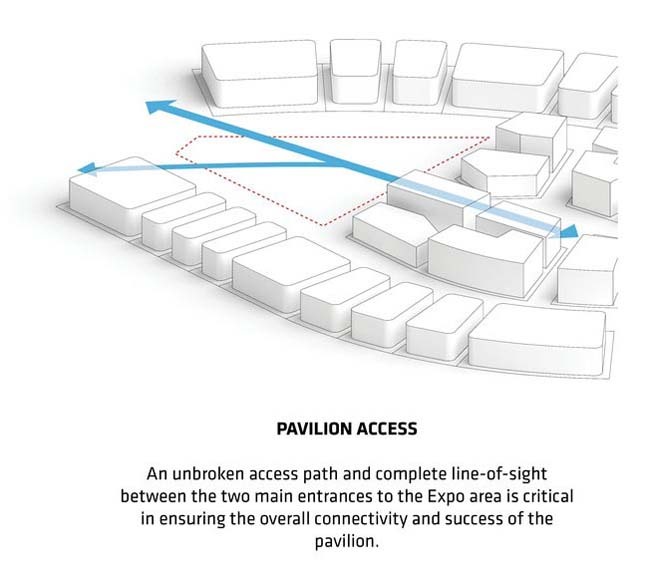 As a space that could be used for events big and small, public and private, the plaza and oasis are together a symbol of the inherent opportunity in the Expo – bringing people together to connect minds and create the future. 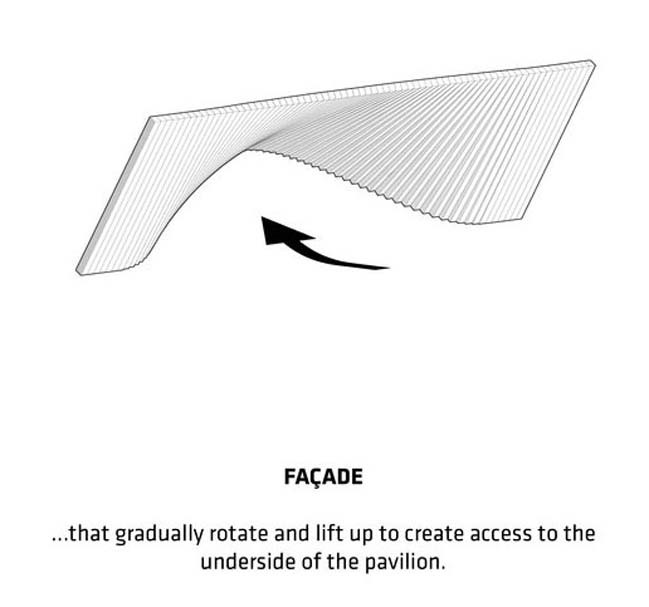 After sunset, the iconic Opportunity Pavilion turns into a luminous adventure for people, with lighting literally woven into the architecture. 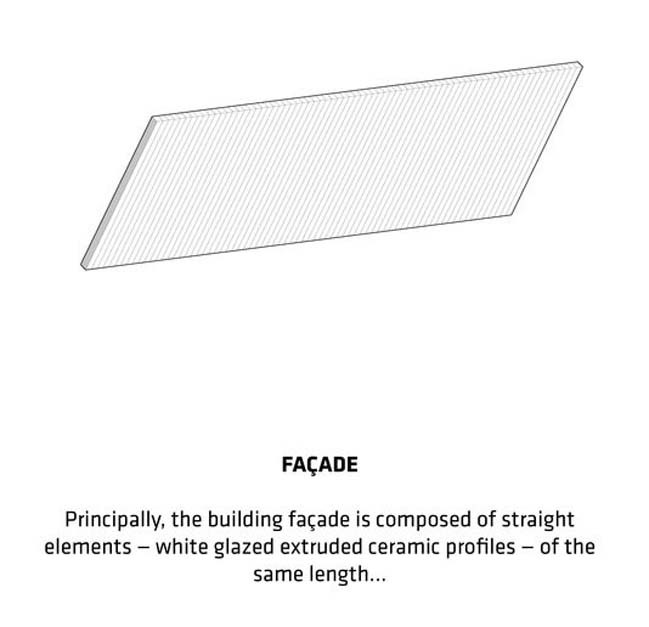 Linear lights embedded in the facades emphasize the underlying rationality while articulating the overall expressive gesture of the façade. 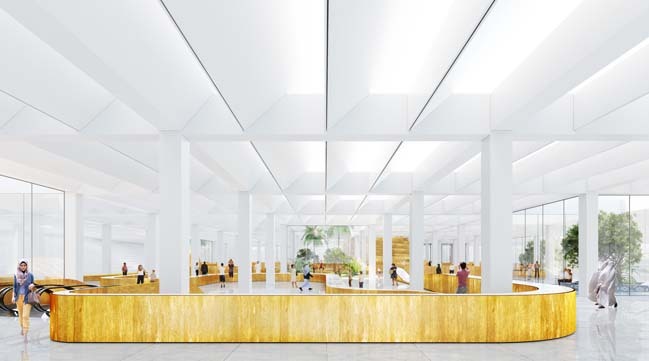 The underside of the pavilion is generously lit, while lighting integrated into the steps down to the oasis in the urban plaza turns it into a gentle mirror of the belly of the pavilion above.